The LGBT Resource Center invites all students, faculty and staff to attend the Lavender Graduation. Formerly known as the Rainbow Banquet, this is an annual event to honor all Syracuse University and SUNY College of Environmental Science and Forestry (ESF) graduates whose lived experience, scholarship or leadership have contributed to a positive LGBTQ collegiate environment. Campus and Syracuse community members are invited to join the celebration on Sunday, April 28, from 5 to 7 p.m. in the Goldstein Alumni and Faculty Center. The celebration will include guest speaker Olivia Fields ’01, hors d’oeuvres and recognition of graduates by the LGBT Studies Program, the LGBT Resource Center and the Office of Alumni Engagement. Members of the 2019 graduating class who are interested in being recognized are asked to complete the Lavender Graduation registration form by noon on Sunday, April 14. 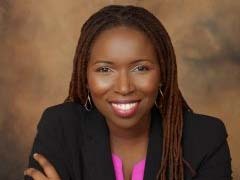 Fields, founder and president of organizational change management firm Change 360, will share a keynote titled “Authentic Living: I Am Who I Say I Am,” highlighting how she built upon her education and experiences to grow professionally and personally. Fields graduated from Syracuse with a dual degree in marketing management and political science. American Sign Language (ASL) interpretation and Communication Access Realtime Translation (CART) will be available. For more information or to request additional accommodations, contact the LGBT Resource Center at 315.443.3983.